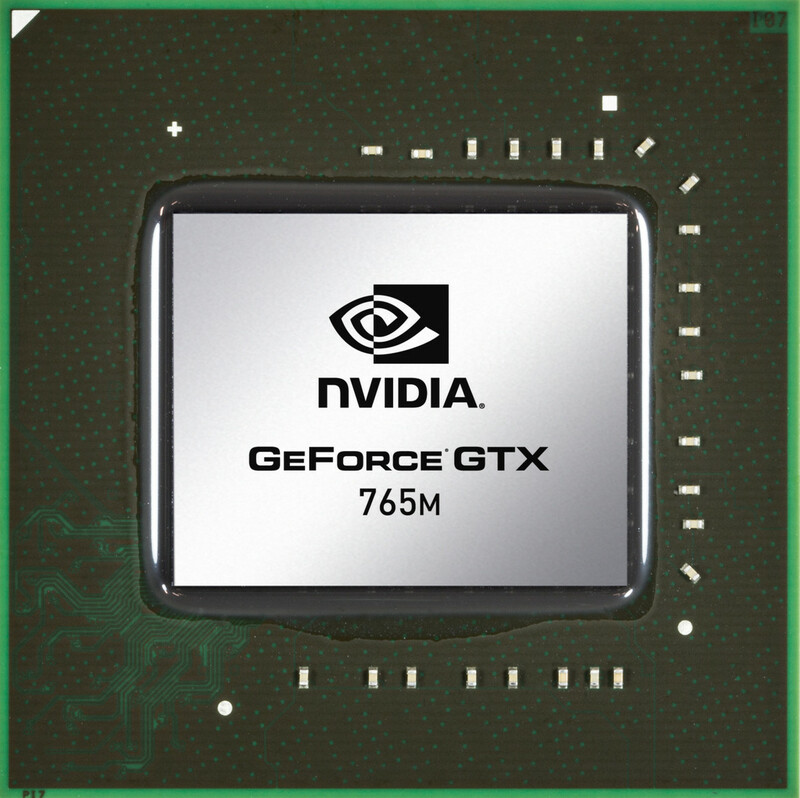 The NVIDIA GeForce GTX 770M SLI is a high-end DirectX 11-compatible graphics solution for laptops, consisting of two GeForce GTX 770M. Each card has a 28nm GK106 core based on the Kepler architecture. The clocks for the SLI-setup are identical to a single GTX 770M. With SLI, each card usually renders a single frame (AFR mode). Therefore, it may suffer from micro stuttering in low fps ranges of 30fps. This happens because of different timespans between two frames (e.g., irregular delays between sequential frames). The Kepler architecture is the successor to the Fermi architecture that first appeared in laptops with the GeForce 400M series. The GK106 Kepler core offers five shader blocks, called SMX, that are clocked at the same speed as the central core. In the GTX 770M, all five blocks are activated (= 960 CUDA-Cores for each 770M). Although the Kepler architecture can utilize more shader cores than a Fermi chip, its shaders can be up to twice as power efficient. However, due to the missing hot clock of the shader domain, two shaders of a Kepler chip are of similar speed to one shader of a Fermi chip (as the latter is clocked twice as fast). 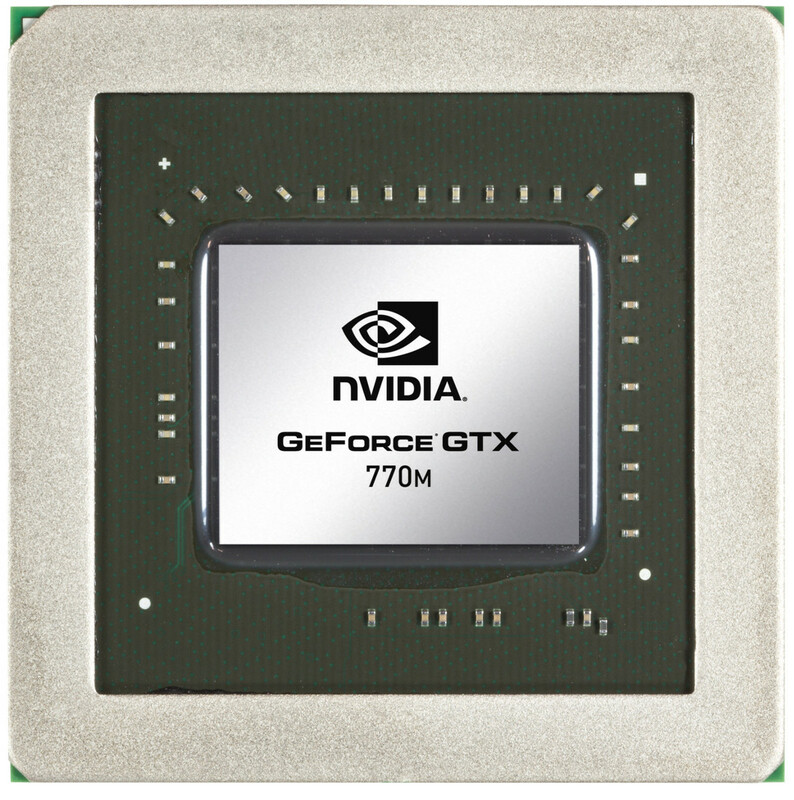 The GeForce GTX 770M SLI is about 70 - 80 percent faster than a single GTX 770M, leading to a performance somewhere between a single GeForce GTX 680 (desktop) and GTX 780M. Therefore, most games (as of 2013) are playable at the highest detail setting and in FullHD resolution. In many cases it is even possible to activate additional anti-aliasing. The power consumption of the GeForce GTX 770M SLI should double to about 150 watts (including board and memory) compared to a single GTX 770M. Therefore, only large desktop replacements can handle the heat.